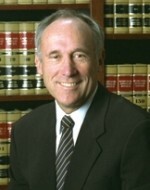 Gene Royce is an attorney in the San Diego office, where his focus involves handling all types of civil cases. These cases include representing developers, general contractors, and subcontractors. He has also handled personal injury, patent, copyright, and trademark cases. He has tried to a conclusion over 100 Superior Court jury trials and has served as an arbitrator and mediator in personal injury, construction, and intellectual property cases. To view Mr. Royce’s ADR resume, click here. He received his B.S. in Mechanical Engineering in 1966 and his J.D. in 1969, both from the University of Arizona. He was admitted to the Arizona Bar in 1969, California Bar in 1970, and to prosecute patents before the U.S Patent and Trademark office in 1994. He is a member of the American Board of Trial Advocates and is A.V. Rated by Martindale Hubbell.